Directed by Ava DuVernay, 2014’s Selma depicts Dr. Martin Luther King’s attempts in establishing equal voting rights, through the infamous Selma to Montgomery march in Alabama in 1965. 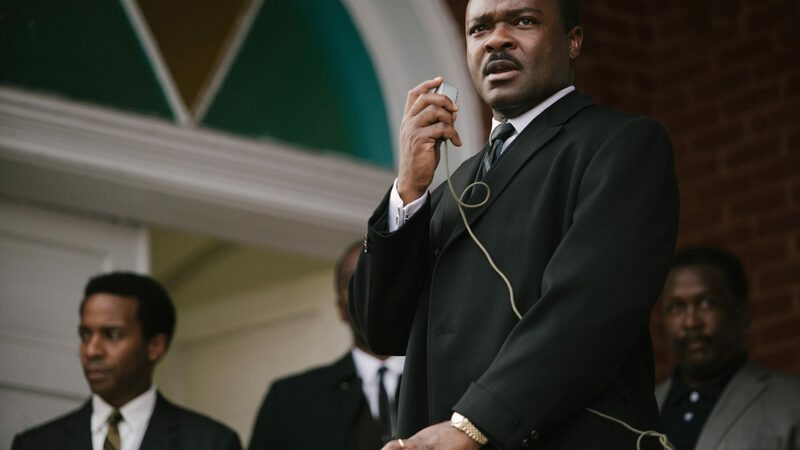 What makes this motion picture so compelling is both the incredible performances given (in particular, David Oyelowo who portrays the great leader MLK, showing the struggles he faced and what his home life was like behind the scenes), and notably the poignant visuals of the march itself (hats off to cinematographer Bradford Young), its impact and the horrific treatment black people faced. Fifty-one years on from the march, this film is educational through its depiction of the treatment of the people in the deep south of the US, which was honestly appalling. It displays the struggle they faced in persuading President Johnson (played by Tom Wilkinson) to sign the voting rights act of 1965 and the segregationist beliefs of Alabama’s’ governor George Wallace (Tim Roth). Overall, I would recommend this film as it is entertaining in it’s teaching of the events, which took place in Alabama in 1965 and the casts performance’s are enthralling in their realism. Heartfelt and sincere, Du Vernay has created a biopic, which should motivate the audience to think hard about the changes that still need to be made.